The index opened up and went to make newer highs with each passing as in a Trend Day to close near the top at 8695.60, huge gain of 144.90 points. The broader market was also positive, with 859 advances to 683 declines. The range as per OI Table is 8400-8800 till Expiry. Call option 8700-9000 added huge 14.18 lacs OI with short covering seen at 8600 and lower strike prices. Put option 8900-8400 added huge 48.50 lacs OI with profit booking seen at 8300 and lower strike prices. 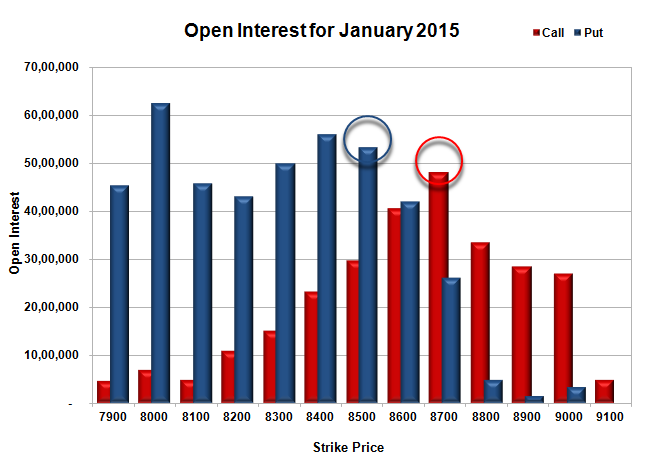 Nifty Open Interest is at 2,17,34,600 up by 16,60,225, with increase in price, most probably huge long build-up. Bank Nifty Open Interest is at 21,79,100 up by 41,350, with increase in price, most probably huge long build-up. FII’s bought huge 20.93 lacs Futures, which includes 114695 contracts long build-up and 13259 contracts short build-up, with increase in net OI by 110221 contracts (includes 169323 longs to 85620 shorts for the day) and the Average Price comes to 9070.72. FII’s Index future open contract as on date is 704888 Longs to 114695 Shorts, net long 590193 up by huge 83703 contracts. Initial support now at 8600, with huge OI addition of 22.16 lacs for the day and below that at 8500 with OI of 53.39 lacs. 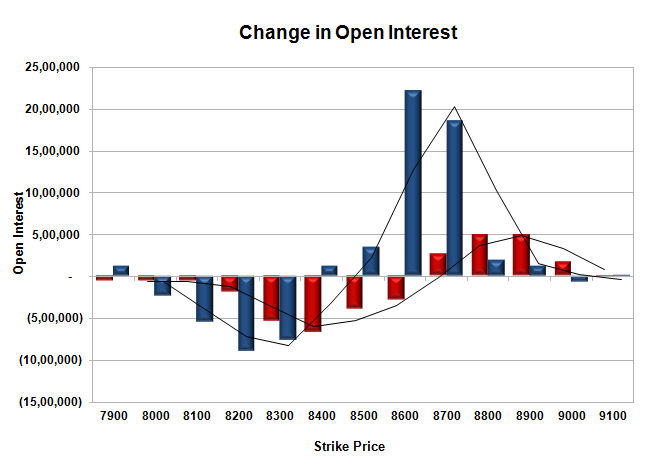 Initial and best resistance at 8700, with OI of 48.07 lacs and above that at 8800 with OI of 33.39 lacs. 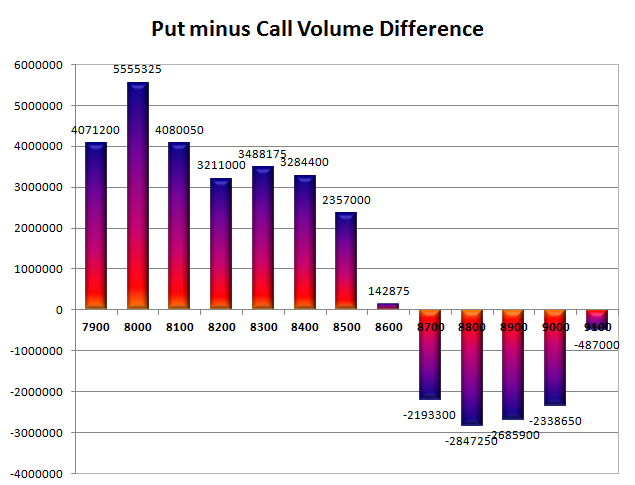 Day Range as per Option Table is 8583 - 8753 and as per VIX is 8617 - 8774 with 8659 as the Pivot.